We truly care about your recovery. That's why we go the extra mile to make your care affordable. We're preferred providers with the majority of insurance carriers in the area. For plans in which we are out-of-network, we still count their insurance benefits as payment in full. 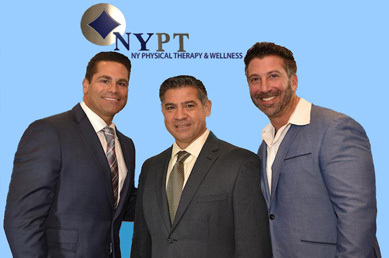 Your personal NY Physical Therapy & Wellness physical therapist will spend time getting to know you and your lifestyle and listening to your concerns. Only then will your physical therapist create a treatment plan to solve your problem, relieve your pain, and restore function. For more information about our services, call the location nearest you or request an appointment today. NY Physical Therapy & Wellness is proud to be affiliated with the Pratt Pavilion rehabilitation center in Glen Cove, NY. This state-of-the-art long-term care facility is rated in the top 1% in the U.S. The 4,000 square foot physical and occupational therapy suite sets a new paradigm in sub-acute rehabilitative care. Utilizing the most advanced equipment and cutting-edge treatments, our rehab professionals accelerate the healing process. Our therapists will work with you while you stay in the Pavilion following surgery until you are ready for outpatient care at one of our 10 locations throughout Long Island and Queens. This continuum of care is vital for ensuring the best possible treatment outcomes.